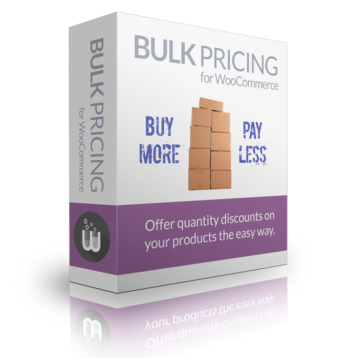 This plugin will enable you to set up bulk pricing rules for single products or whole categories with just a few clicks. Create an unlimited number of discount rule sets and choose from those predefined rule set when you edit a product. Or define individual pricing rules directly on the edit product page – or use the built in hierarchical categories page where you can assign rule sets for all your product categories on one page. There are known issues with the Product Add-Ons plugin resulting in add-on prices not being taken into account. This will be fixed in future versions, but for now don’t purchase this plugin if you use product add-ons with custom prices. Please do not purchase it if you plan to install it on a multilingual site. This plugin is currently not compatible with WPML. I needed an extension for my woocommerce shop that allowed me to have bulk pricing. Basically the more you add to cart, the bigger the discount generated. This does exactly that! The interface is adjustable, so that it gives you the option to display the discount rule in a table next to your product or you can hide it from the interface if you want. You can aslo adjust the table and add your own titles, which makes it more personal. Very easy to set up and does what you need. Its suitable for any type of shop! The customer support is very fast, polite and helpful. I happily recommend this product!! We tried the Dynamic Pricing extension and it worked great, but the one thing it lacked was the option to display a pricing table. Rather than manually entering the price in an HTML table, we decided look at other pricing plugins. Switching to this Bulk Pricing plugin was probably one of the best decisions we’ve made in the process of setting up our website. Not only is this plugin half the cost of the Dynamic Pricing extension but it automatically displays the pricing table on the product page. Setting up the pricing rules for each of the products was easy and quick. In addition, the support is fantastic! I sent a request for the plugin and received a friendly and helpful response the next day. I needed product that would give me discounts for my products. But I had special requests, i needed rule sets to be combined in order to give different discounts for all products in basket depending on total quantity. Since there was no option for such combination, WP Lab implemented it in less than one Week on my requests. Never saw before such a good support! We had tried a few different options for bulk pricing and discount management on our clients WooCommerce stores, but nothing ticked all the boxes like this plugin. The greatest factor for us is how easy the client can manage every component of their store, particularly with access to features they might not have ever been able to control before. Not only is the plugin great though, the support has made a huge difference to us being able to get everything we can out of the extension. We needed a bit of help with one of the features and we received a response (and solution) very quickly. We wouldn’t hesitate to suggest this plugin for those wanting extensive control within WooCommerce for them of their clients. I would like to say that this is an awesome plugin! Big thank you from Australia. Matt is a great plugin developer & has been wonderful & helpful. It’s great that some people offer affordable, worthy plugins compete with the major operators. Great Job WP Labs …. I have been very impressed! After switching to WooCommerce/WordPress for our 7,000+ sku store, we quickly learned that plugins can make or (literally) break your website. The WP Lab team (Matt, specifically) has excelled in meeting our expectations for functionality AND customer support on a consistent basis. They are quick to respond and provide a product that both works and provides immense value. I can honestly say that our company’s model would not function without the Bulk Pricing plugin and we HIGHLY recommend this plugin to anyone who needs its features. 5 stars across the board for a great, affordable and WORKING product! Worth every cent and then some. This is an AWESOME plugin! Nothing else comes close to the features this offers. Easy to setup and use. I especially like the way that product variations are handled. Not only does it display the bulk pricing in a very nice format the developers were readily available to address a trouble spot with another plugin. Have confidence purchasing from these ‘happiness engineers’ (as they call themselves). Awesome plugin. Simple to understand and easy to use. Great after-sales customer service as well. 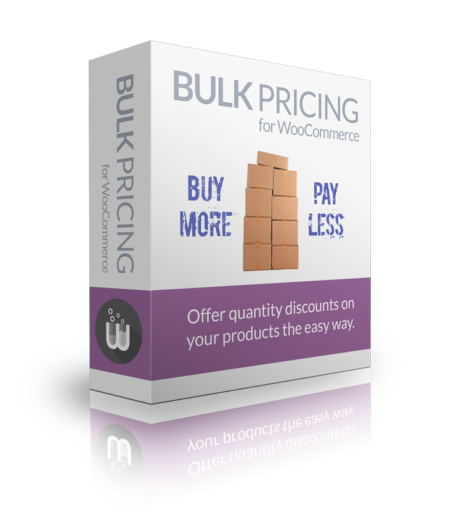 We have reviewed tens of bulk discount plugins foor Woo for shops with thousands of products. This one is far the best. Great support and even better great features. Test it, and you’ll buy it. Hope to see more plugins out of their LAB soon.